Glenn Curtiss and James H. Bright developed the city known as Hialeah in 1921. In its early years, Hialeah ushered in new forms of sports entertainment, including jai alai, greyhound racing, and horse racing at the Hialeah Park Race Track in 1925. The race track became Hialeah’s claim to fame, attracting the elite members of society, such as Winston Churchill, the Kennedy Family, and J.P. Morgan, as well as millions of visitors since its inception. Although the city was originally planned to be a community that catered to the elite, exiles from Cuba began to settle in Hialeah in 1959. This ultimately transformed Hialeah into a working-class city. Hialeah has 235,626 residents, with over 95% of its population being Hispanic. Almost 45% of its population is employed and commute an average of 22.7 minutes to work. Hialeah is a working-class community and is located near the major highways of the Palmetto Expressway, I-95, and US27. As such, commuters from neighboring cities often travel through Hialeah to reach their destinations, causing a considerable amount of traffic congestion on the roads. Large construction trucks and other commercial vehicles also share these highways as well. Drivers who are travelling at high speeds to get to and from work, commercial vehicles with heavy loads, as well as general driver negligence all contribute to dangerous roadway conditions that may lead to accidents. Car crashes under these conditions can be particularly serious due to high speed of travel, often resulting in devastating injuries to its victims. 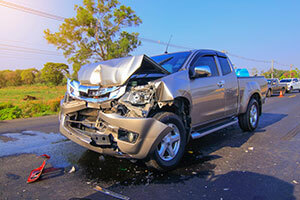 Victims of car crashes in Hialeah can suffer from serious injuries, lost wages, and damage to their vehicles. If you have been the victim of a car accident, contact the Hialeah auto accident lawyers at the Wolfson Law Firm at 305-285-1115 for a free consultation. Choosing the best attorney for you starts with doing your own research. Most attorneys offer a free consultation. This is your opportunity to meet with the attorney and ask questions. Find out how they would approach your case, how responsive they are to your questions, what is their background, and their success rate. Understand their fee structure – automobile accident claims are typically handled on a contingency basis whereby. This means that attorneys are paid only upon a successful resolution. Find out how their fee structure works. Do you need to pay for anything upfront? What fee will you be charged if your case is successful? Now that you’ve met with a handful attorneys, asked your questions, and found out how they will charge, how do you choose? Choose an attorney who communicates – The value that an attorney places on returning your phone calls timely and keeping you apprised of your case can be an indication as to how they will represent you. Choose an attorney who’s not afraid to represent you – Initial insurance settlements may be not be in your best interest. In some cases, automobile accident claims may require an attorney to represent you in court. Select an attorney who is comfortable and willing to represent you in challenging situations. Choose an attorney with a successful track record – Consider the attorney’s background, credentials, how extensive their experience is with automobile accident claims, and their success rate. A strong background in these areas can be an indication as to how well they will handle your case. Although you are searching for the attorney who will best represent your needs, advocacy starts with you. Invest the time to find the best automobile accident lawyer in Hialeah as the success of your case depends on it. If you have been the victim of a car accident, contact the Hialeah auto accident lawyers at the Wolfson Law Firm at 305-285-1115 for a free consultation. How Do Our Hialeah Car Accident Lawyers Serve You? The Wolfson Law Firm serves clients Hialeah, as well as the surrounding communities of Opa Locka, Hialeah Gardens, Westview, Medley, and Miami Springs. The attorneys at the Wolfson Law Firm can help you and your family to get back on the path of recovery. If you or your loved one have been injured in a car accident, contact the Hialeah car accident lawyers at 305-285-1115 for a free consultation.